Avendus Capital advises Borosil on its entry into the primary pharma glass packaging business through the acquisition of a controlling interest in Nashik based Klasspack Pvt. Ltd.
Borosil Glass Works Ltd has announced the acquisition of 60.3% shares in Klasspack Pvt. Ltd. on 29 July 2016 for an undisclosed amount. While a majority of the funds were by way of primary infusion into the company, there was a smaller secondary purchase of shares as well. BOROSIL®, a global brand synonymous with high quality glassware, is the market leader for laboratory glassware for India’s leading Pharmaceutical companies, Research Laboratories, Healthcare, Science and Educational institutes. Klasspack, a closely held company with manufacturing facilities in Nashik, Maharashtra, is a leading manufacturer of Glass Ampoules and Tubular Glass Vials used as primary packaging materials by pharmaceutical companies. With compliance becoming increasingly stringent in the Indian pharmaceutical sector, Borosil plans to combine its technological expertise in specialty glass production with Klasspack’s experience in world-class glass ampoule and tubular glass vial production to offer pharma majors a reliable partner to source their primary glass packaging. 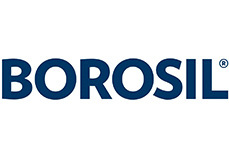 Mr. Shreevar Kheruka, MD, Borosil said “With this acquisition, Borosil wishes to further its vision of being India’s most customer centric company. Our investment will help Klasspack to ramp up facilities and production to give our current pharmaceutical customers a high quality choice for sourcing their pharmaceutical packaging needs. Borosil already enjoys a high brand equity and quality reputation in the pharmaceutical industry and we are confident that our existing customers will substantially benefit from this transaction”. Mr. Prashant Amin, MD, Klasspack said “Klasspack will enormously benefit from Borosil’s brand equity and market reach, while Borosil will be able to leverage Klasspack’s manufacturing set-up and product development capability to expand offerings and augment their product portfolio. We are very excited about this partnership and the enhanced value that will be created for end customers”. Borosil Glass Works Ltd. is the market leader for laboratory glassware and microwavable kitchenware in India. The company has two primary business divisions, the Scientific and Industrial Products division which sells laboratory glassware, instruments, disposable plastics, liquid handling systems and explosion proof lighting glassware and the Consumer Products division which sells microwavable and flameproof kitchenware and glass tumblers through over 8,000 retail outlets. Borosil’s products are synonymous with elegance, dependability, safety and ease of use. In the kitchenware segment in India, Borosil is a generic term for microwavable glassware. It has a high market share in the laboratory glassware market and enjoys a high brand recognition. Based in Nashik, Klasspack Private Limited is a leading manufacturer and supplier of primary packaging materials - glass vials & ampoules for the pharmaceutical industry. Klasspack has a wide range of vials and ampoules of various sizes and also manufactures products as per customer specifications. It has established itself as a strong player in the industry and Klasspack’s products are recognized for their excellent quality and optimum performance. The Avendus Group (Avendus) is a leading provider of financial services with an emphasis on customized solutions in the areas of financial advisory, structured credit solutions, wealth management and alternative asset management. Avendus relies on its extensive experience, in-depth domain understanding and knowledge of the regulatory environment, to offer customized solutions that enable clients to meet their strategic aspirations. Avendus has been consistently ranked among the leading financial advisors by overall number of deals. In CY2015, the firm was amongst the top three financial advisors by overall number of deals in India (as per Mergermarket). It has a strong track record of cross-border transactions and has helped multiple clients benefit from opportunities across geographies. Avendus’ wide range of clients is testimony to its ability to serve its corporate clients throughout their life cycle – from growth stage funding to complex, large sized transactions later in the cycle.